At Detroit Public Television (DPTV), we love parents, teachers and kids. We have been looking for new and exciting opportunities to connect and support these important people in our communities. Over the last year, we have offered onsite training to teachers in River Rouge, Lincoln Park and Taylor. We¹ve brought over 160 educators into our station for professional development. We hosted Kids Club Live in Royal Oak and a Summer Learning Event in Taylor, serving over 6,000 families with young children. Another one of the ways we look to support this audience is through our line-up of children¹s programming, access to online games and activities, and through our DPTV Kids Club. We would like to invite all new members to join. What does it mean to join the DPTV Kids Club? Your minimum donation of $50 for the year supports all of the items listed above and provides a means for us to grow. What do you get for your contribution? Your children will receive a birthday card from us, and their names will be displayed on-air during their birthday month. 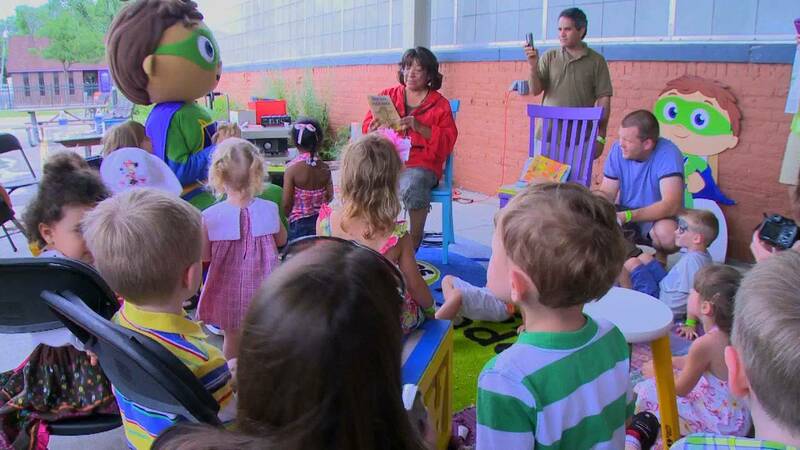 You and your children will be invited to a minimum of four yearly meet and greet events with PBS characters in the DPTV studios, exclusive to Kids Club members. As a member, you will be invited to our fantastic Fall Festival where you can meet characters like Cookie Monster and Daniel Tiger, create crafts, have a pizza party, bounce, play games and take home a free pumpkin! In addition to all of these great perks, you also have the option of receiving this newsletter that connects you to important articles, educational activities, and resources.